Dr Richard Webb is a Postdoctoral Researcher at Liverpool John Moores University. He is currently working on a Leverhulme Trust funded study to develop a laboratory method to better determine the structural composition of low density lipoprotein (LDL) particles (often referred to as 'bad cholesterol'). 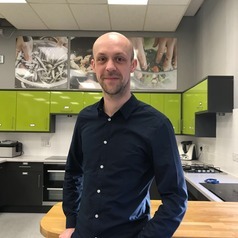 Previously Richard was working on a PhD study in conjunction with the Royal Liverpool Hospital focussing on the eating behaviours, quality of life and cardiometabolic risks of patients with Type 1 diabetes using insulin pump therapy. It was through this study that Richard developed an interest in lipid metabolism, atherosclerosis and cardiovascular risk; an area he hopes to continue to research for many years to come with a view to improving lives through a reduction in heart disease.